Our Nave Space Has Expanded! We have had the problem (a happy one, in some ways, but still, a problem) of having too many people to comfortably fit into our nave, most Sundays, for some time now. At last, we have made a temporary solution: we removed the wall at the back of the nave and installed some curtains farther back into the "parish hall" area. 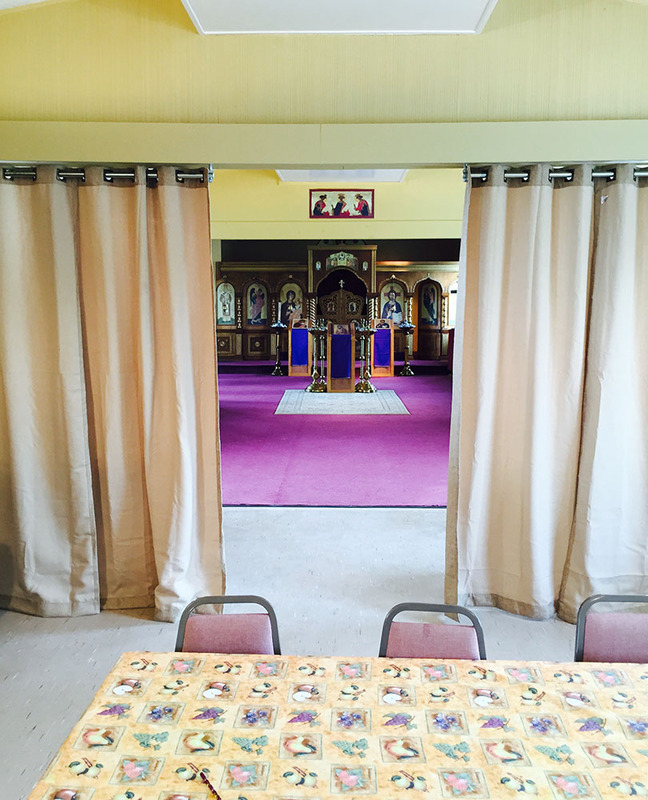 This way, during services, we can keep the curtains closed, but have a larger space than we did before, by expanding into some of the "parish hall" space for the nave. 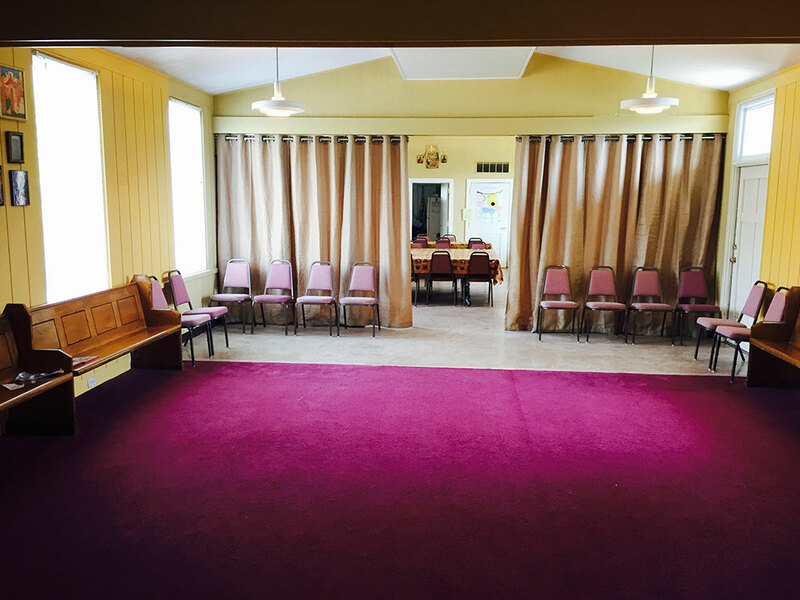 But when services are over, we can pull the curtains to the side and set up tables, re-expanding the "parish hall" area not only back into where it was before, but even into what was the "nave" area. 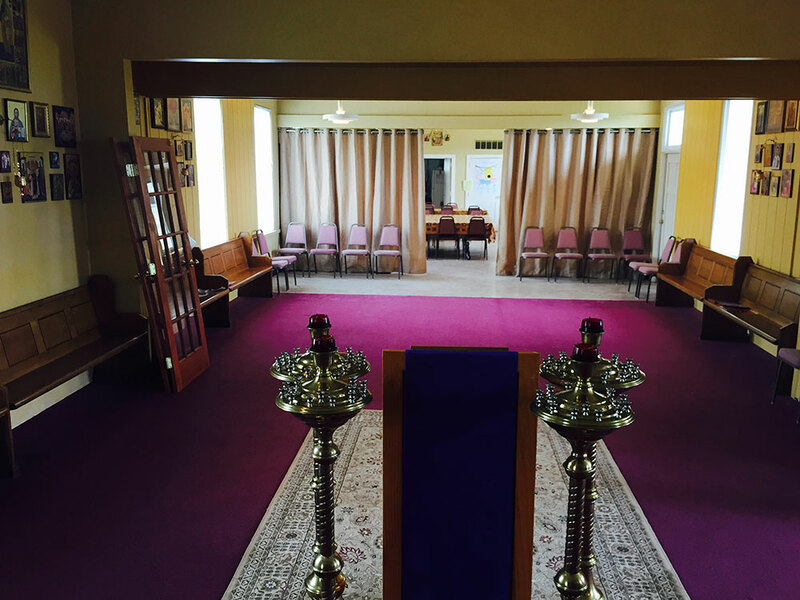 So we now have a larger nave and a larger parish hall in the same building!